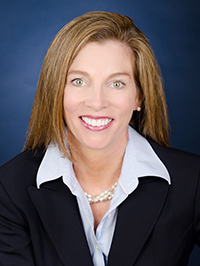 Medtronic has named Karen Parkhill executive VP and CFO effective June 20. She takes over the role from Gary Ellis, who is retiring in 2017 and will remain on staff to help with Parkhill's transition, according to a press release. Ellis has been CFO since 2005 and with Medtronic for 27 years. Parkhill, 50, will report to CEO Omar Ishrak. She will oversee the company's global finance organization and functions such as treasury, controller, tax and internal audit. She previously served as vice chairman and CFO for Comerica. She also served as CFO for the commercial banking business at JP Morgan Chase & Co. from 2007 to 2011. Also, Parkhill serves as a member of Dallas-based Methodist Health System's board of directors. Medtronic bought Ireland-based Covidien in June 2014 and moved its headquarters from Minneapolis to Dublin. The company reported $6.9 billion in revenue for the third quarter of fiscal 2016.